You must have heard the famous saying “Sans teeth, sans eyes, sans taste, sans everything” from a monologue from William Shakespeare‘s As You Like It. Although this depicts the seven stages that a human life will undergo until his death, same thing applies for each and every inanimate thing. Nothing is permanent. Each building has a life cycle. There are costs incurred throughout this cycle. The life cycle cost includes the following. 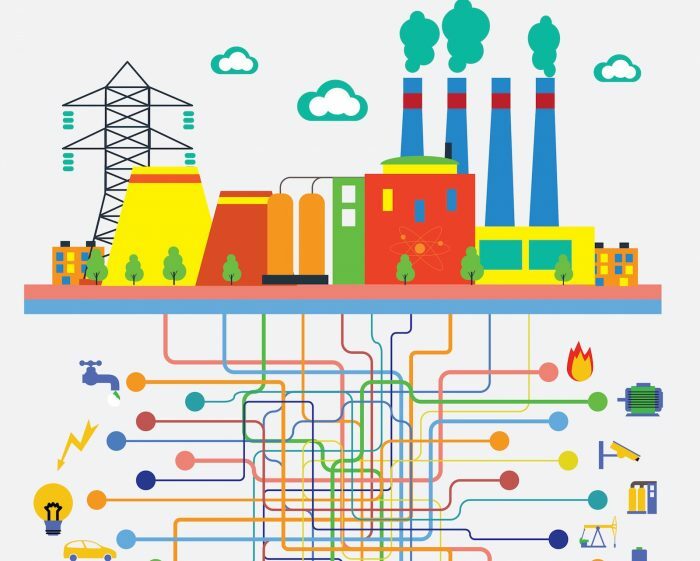 With resources dwindling exponentially, it is more important than ever for engineers, designers, and policy makers to understand the full economic and environmental costs incurred by infrastructure project decisions. The impacts created by the choice of the materials selected in terms of the construction will affect both the organization and the environment across the entire life cycle of a project. Hence, it is of utmost importance in terms of both finance and the environment to plan ahead in the construction of a buildings. Even before the construction of a building, it is important to forecast the impact created on both the organization and the environment. If the operation cost seems to be much higher than anticipated and the organization will have to incur heavy losses in terms of finance, the organization will have to rethink whether it will create any create any financial gain in the long run. The impact created on the environment by buildings is significant. For an example, in the United States, the heating, cooling, and operation of buildings and homes accounts for more than 40 percent of carbon dioxide emissions each year. Operational costs include payments needed for energy, water, and other utilities. They are based on consumption, current rates, and price projections. 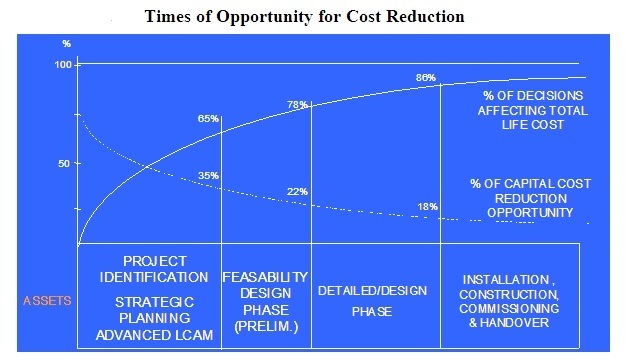 Energy costs are often difficult to predict accurately in the design phase of a project. Factors like use profiles, occupancy rates, and schedules directly affect the energy consumption. At the initial design stage, data on the amount of energy consumption for a building can come from engineering analysis or from a computer program. Maintenance costs can be quite difficult to predict like operational costs. Non-fuel operating costs, and maintenance and repair (OM&R) costs fall under this category. 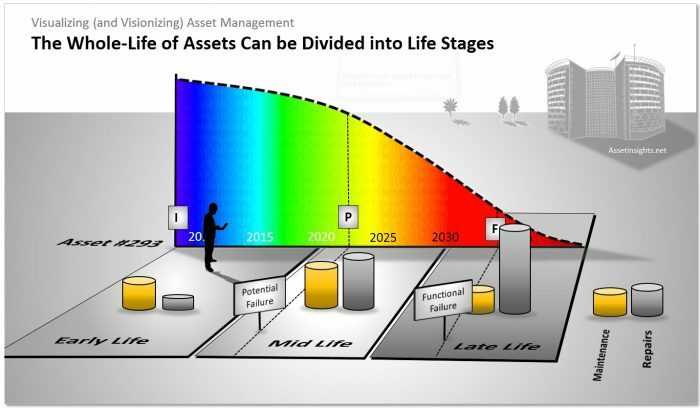 In terms of maintenance and repair, it is impossible to predict the lifetime of the assets due to the direct dependency with the amount of use. 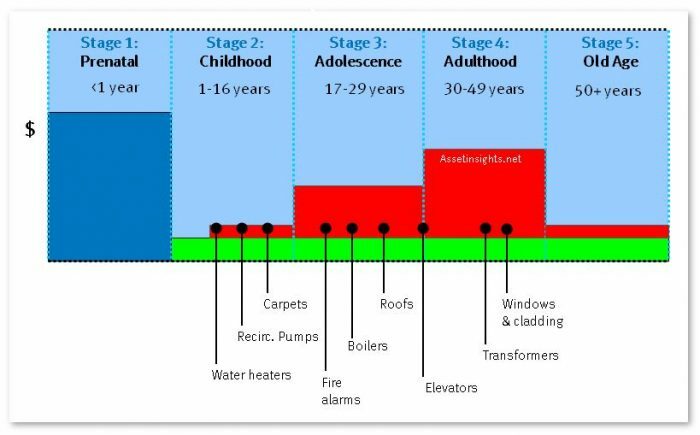 Operating schedules and standards of maintenance vary from building to building; there is great variation in these costs even for buildings of the same type and age. It is therefore especially important to use engineering judgment when estimating these costs. Demolition cost is another important facet in the life cycle of a building. As previously said, all the buildings will have finite lifetimes, be it 30 years or 150 years. There will come a time when the buildings become unsafe to tenants. At that point in time, the organization will have no choice but to demolish the building. If the demolition of a building, there are specific rules and regulations to which you must adhere to in protecting both the people near the building as well as the environment. Hence, abiding to these rules and regulations will incur a lot of money. Hence, planning becomes essential. A life cycle cost analysis can be applied to any capital investment decision in which relatively high initial costs are preferred for much lower future operation, maintenance, and repair costs. It is particularly suitable for the evaluation of building designs as long term cost effectiveness reigns over the initial costs incurred. The benefits of such an analysis are as follows. Making the optimum use of the funds allocated. Avoidance of violations of regulatory compliance regulations. Simply said, it is better to plan ahead focusing on the long run instead of the short run.